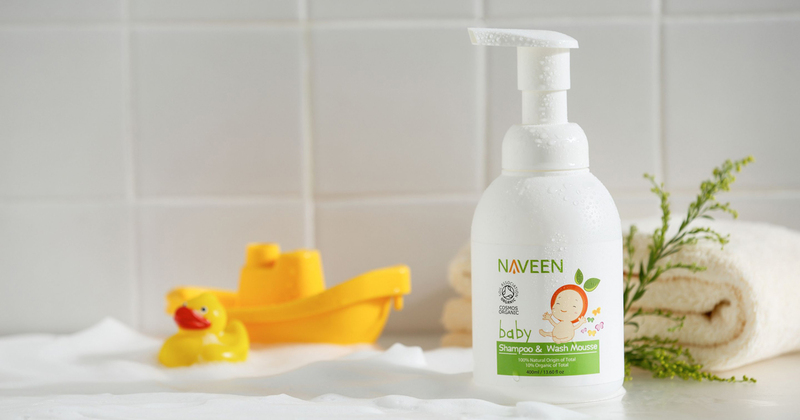 NAVEEN Baby Shampoo & Wash Mousse is allergy-tested, tear free non-drying and leave little one’s hair and skin soft, shiny and manageable. Our mild 2-in-1 mousse cleanser is perfect for the most delicate skin. The air-foaming nozzle dispenses just the perfect amount of sudsy soap for a deeply nourishing clean. This must-have staple, is lightly scented with fresh calming oil blend that unite to promote calmness, making bath-time stress free and fun! Certified Organic Mandarin Red Oil – A very fragrant smell of fresh fruit peel and an excellent skin oil. Reinvigorate skin and senses and rich in vitamins and is a sweet treat for the kiddos. It is balancing, uplifting and calming. 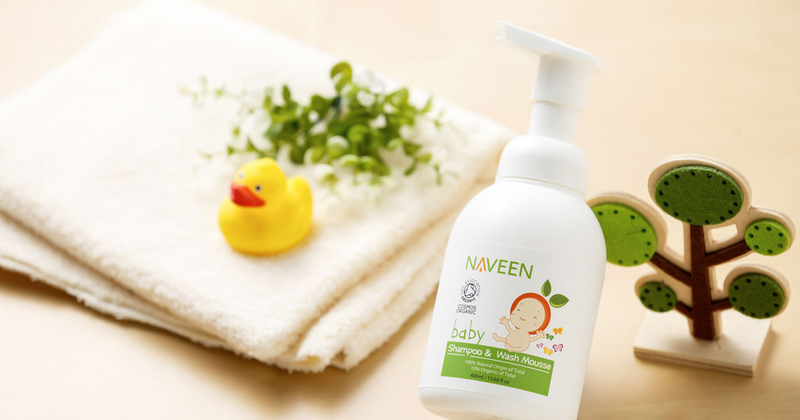 Safe even for new born skin. Disodium Cocoyl Glutamate & Sodium Cocoyl Glutamate – A plant based cleansing agent derived from vegetable and fermented sugar. 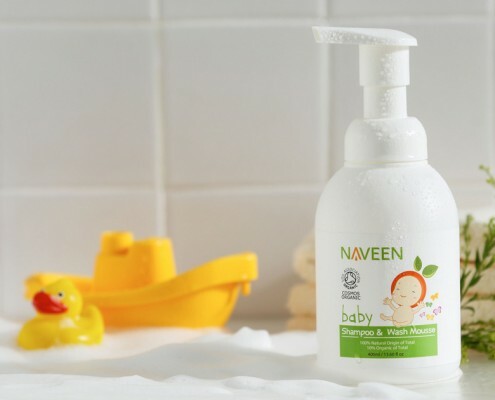 This environmentally friendly gentle cleanser has excellent cleansing and foaming properties. This is also used to help soften (remove excess minerals from) hard water.